Are you stuck trying to come up with ideas on exactly how you want your new home to look? You may have many ideas floating around in your mind, but they are not quite coming together into a comprehensive plan you can claim as your new house design. There are a couple very easy and fun ways to generate ideas you can take to the draftsman for creating your construction plans. The first way is to start going on home tours. Watch for open house signs in your community or in the newspaper and take some time on your weekend to visit a few homes you find attractive. Look at how the floorplan is designed and listen to your own thoughts. 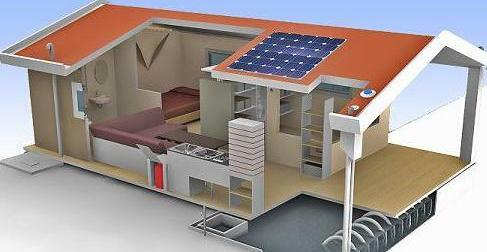 Would you want your bedrooms in the same locations? Do you like the way the kitchen is designed or would you add a kitchen island to the home? Does the home use an open floorplan or is it a more closed design? It does not take very long walking through homes to get a clear idea of what you would really enjoy in your home. This is one of the easiest methods of new house planning, if you have the time to spare. If you are tight on time you can do something very similar online. It may not be as thorough, but it will help you clarify your thoughts. This second method is to use an online Real Estate website and start browsing new homes throughout Australia. Do not limit yourself to your own city, but broaden your search to get more ideas. Go ahead and limit your search to homes which are within your budget. As you look at the listings pay special attention to advertisements with 360 degree views, walkthroughs, and which include floorplans. These will give you a better idea of how the home is really laid out and how it would feel to you. As you begin collecting your ideas make sure you save pictures, floorplans, and write down notes. You can then take all of this information to a company like Drafting Concepts Pty Ltd in Sunshine Coast for them to give you house design quotes. They will look through your ideas with you and ask questions to determine what you really want in your house. Expect them to point out items which could add dramatically to your cost, or alternatives which might help you save money. Not all house design services are created equal. 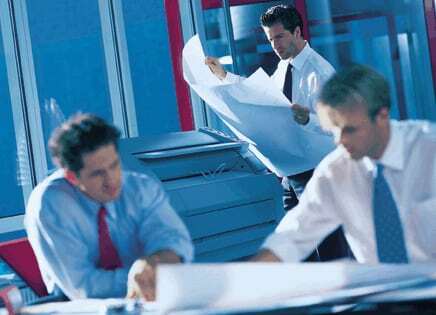 Some offices are very limited in their capabilities and only offer simple construction drawings without much support. Other companies, like Drafting Concepts, can offer to assist you with permits and stick with you throughout the entire construction process until the final inspections are completed. These companies make sure all of your efforts at defining your dreams are not wasted. Generating ideas for your new house design is one of the most exciting times during the entire process. You can be playful, explore, and have fun. Do not forget to consider your lifestyle as you look at each design and consider if it will be good today and in 10 years. For families with a disabled family member it is always important to consider how the layout will affect their life, not just today but over the upcoming years. Ask questions about your ideas when you are working with the company providing the house design services. They can suggest ideas which will improve accessibility without damaging the aesthetics and appeal of the home. 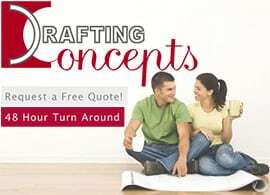 Get busy and explore your ideas, then give Drafting Concepts a call to get a free quote on your new house design. « Can Your House Design Services Company Do Simple to Elaborate?